Formerly sold in the South as Hominy, Sops of Wine is described as an excellent early summer apple which grows well in all regions of the South. Its exact origins are unclear, but Beach (1905) says it is an ancient English culinary and cider apple. 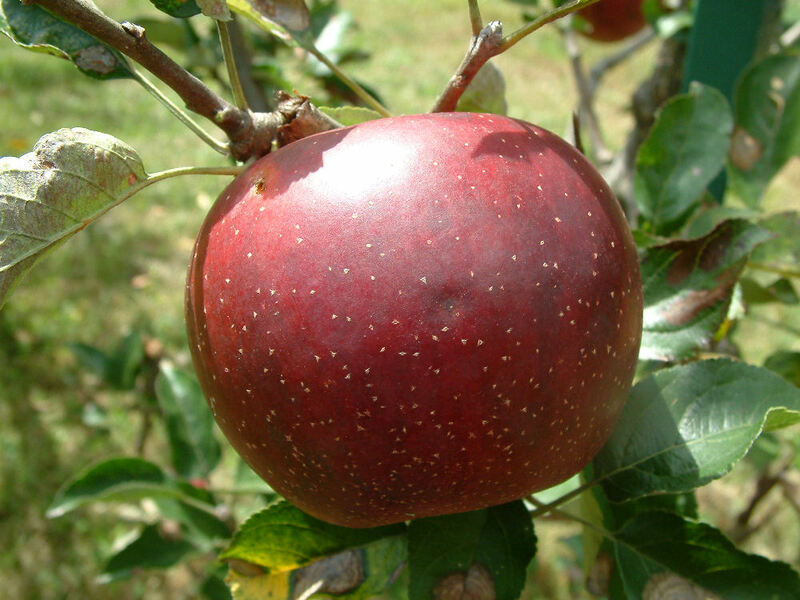 Fruit medium to large, slightly conical, with greenish-yellow skin covered with dark red and faint red striping. Flesh is yellow and often stained with pink, tender, aromatic, and not very juicy. Ripens late June to July, later in the mountains.